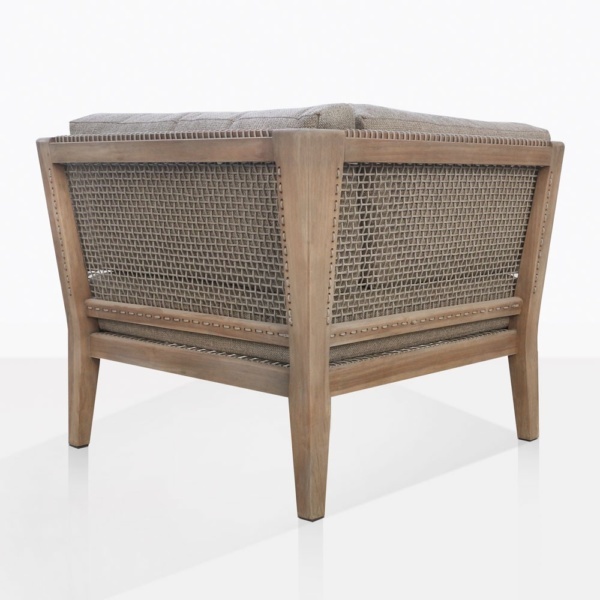 The Gazzoni Aged Teak Corner Sectional Chair is a gorgeous mix of teak wood and rope. This rope and wood combination is truly unique and will inspire a fluid aesthetic for your outdoor space. It’s not everyday that you get to slow down and indulge yourself with an easy-living piece such as the Gazzoni Corner Chair. 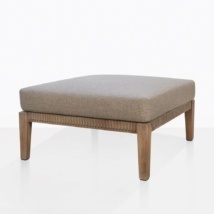 This corner chair makes a great addition to your outdoor space. 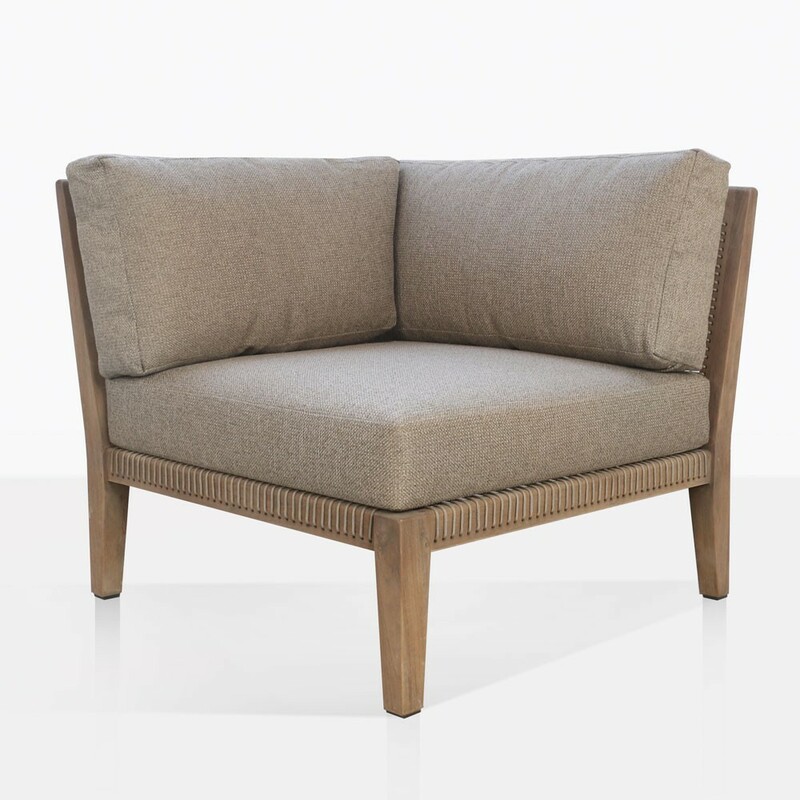 With its deep seating and low-rise design you’ll find that relaxing takes zero effort with the Gazzoni Corner Chair. 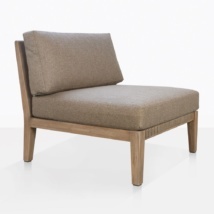 Made of teak, rope, and Sunbrella® cushions it’s no wonder that this chair is considered a space defining piece. 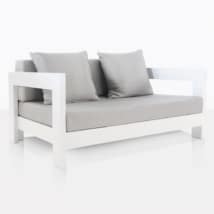 Made from the finest materials, aged teak is highly sought after for its organic look and its ability to age beautifully with time. 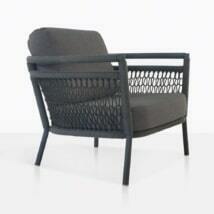 Give us a call to order your own Gazzoni Corner Chair! Warm weather and long days call for more time spent outside. Do it in style and comfort with the Gazzoni Teak Sectional Corner Chair. 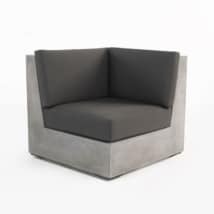 This sectional chair can be used as a standalone piece or paired with several of our Gazzoni Center Chairs and the Gazzoni Ottoman. Transform your backyard into the living space you’ve always envisioned. The solid and grand structure will provide plenty of space for friends and family to gather on and enjoy in comfort. 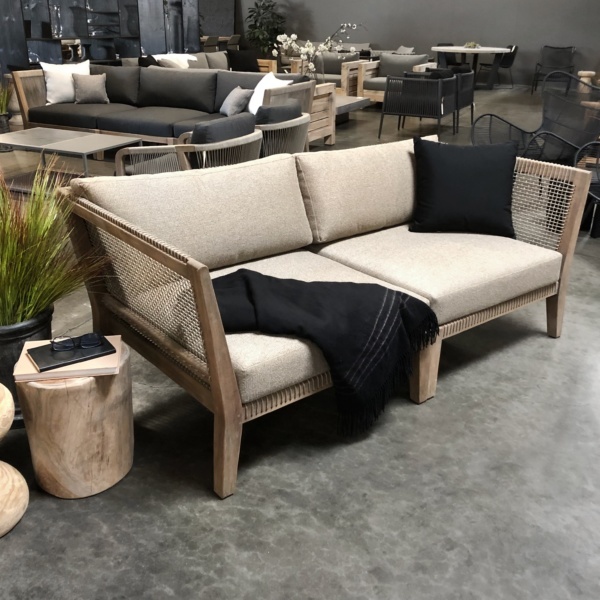 Whether entertaining or having intimate moments under the stars, the Gazzoni sectional will give you all that you seek in an outdoor furniture set. 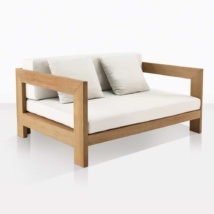 The soft brown and grey tones of the raw teak wood are made from exceptional quality materials and with the proper care will be with you for years to come. 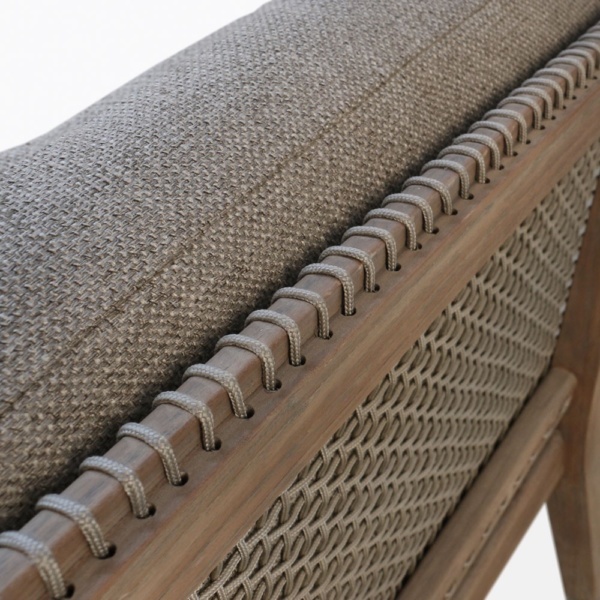 The thick wood provides a solid frame paired with the tightly woven rope for the seating, letting the chair breath and giving it a unique design. The soft tones and elegant features of this sectional make for a fitting piece for metropolitan and rural areas alike. These pieces are so well designed with incredible craftsmanship; the style will always feel current. 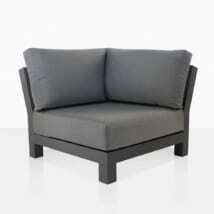 Make memories and let the Gazzoni Sectional carry you from decade to decade in style.